I have blogged extensively over the last couple years about proactive security measures one can take to protect themselves from Ransomware and hackers using a commercial firewall router, VPN’s, and upgrading from Windows 7 to Windows 10. The WhatsApp is another tool I’d like to introduce you to for this month’s blog. It takes only a minute or so to download onto your smartphone, it is free and it provides end-to-end encryption of text messages. Additionally, if you like to make calls overseas, the WhatsApp allows you to place free phone calls to other WhatsApp users, regardless if they are in Tokyo, Japan, or Sydney, Australia. WhatsApp launched in 2009 and soon became one of the most popular messaging apps. Today it has 1.5 billion monthly users from over 180 countries, with 60 billion messages sent every day. WhatsApp and Facebook Messenger share some features, which makes sense since Facebook bought the app for $19 billion in 2014. There are a couple of useful differences, though. First, you don’t need a Facebook account to use WhatsApp, just a phone number. Additionally, if you have friends switching SIM cards (and numbers) as they move between countries, WhatsApp will still keep all your messages in one stream (Eleanor Hildebrandt, Popular Mechanics, Everything You Need to Know About WhatsApp, November 9th, 2018, https://www.popularmechanics.com/technology/a24785640/how-to-use-whatsapp/). You can get the WhatsApp from the Apple store, the Google Play store, or right from the WhatsApp website. There’s a desktop version too, similar to iMessage, if you want all your chats synced on multiple devices, https://www.whatsapp.com. WhatsApp is free and allows you to sidestep international call rates by making audio and video calls over Wi-Fi or data usage. WhatsApp Privacy: all messages are sent using an end-to-end encryption. This means only the sender and recipient can read the messages. 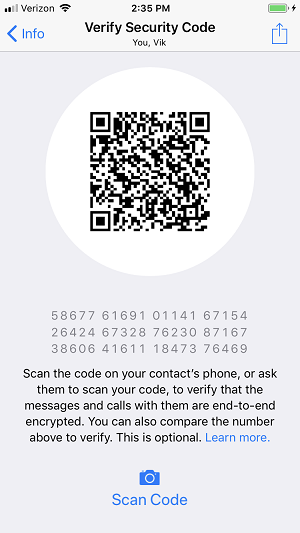 If you feel like testing this, you can go into your chat with another user, click their name and then under “Contact Info” you’ll see an “Encryption tab.” This will give you a unique QR code and a 60-digit number that only you and your contact will have in common. So whether you’re planning a surprise party for 10 people, or talking to your best friend in Tokyo, no one else will know what you’re saying (Eleanor Hildebrandt, Popular Mechanics, Everything You Need to Know About WhatsApp, November 9th, 2018, https://www.popularmechanics.com/technology/a24785640/how-to-use-whatsapp/). If you give WhatsApp permission, it will automatically import all your phone contacts and single handily tell you whether or not they’re also using the app. Unless you go in and turn the setting off, WhatsApp will automatically download all media, photos, and videos to your phone library. This can eat up storage data limits quickly, which can also result in other people’s selfies stored permanently in your smartphone photo library. To shut this off, go to Settings > Chats and then unselect Save to Camera Roll (Eleanor Hildebrandt, Popular Mechanics, Everything You Need to Know About WhatsApp, November 9th, 2018, https://www.popularmechanics.com/technology/a24785640/how-to-use-whatsapp/). You should also pay attention to whether if you’re using your Wi-Fi or data to download messages. Video and photo messages can use higher amounts of data, so you might want to wait until you’re on a wireless connection. Under Settings > Data and Storage Usage, you can toggle back and forth between Wi-Fi and data. The WhatsApp is another tool you can use to help protect your privacy from being compromised by a hacker or phishing scams, such as “posers” trying to impersonate someone you know. 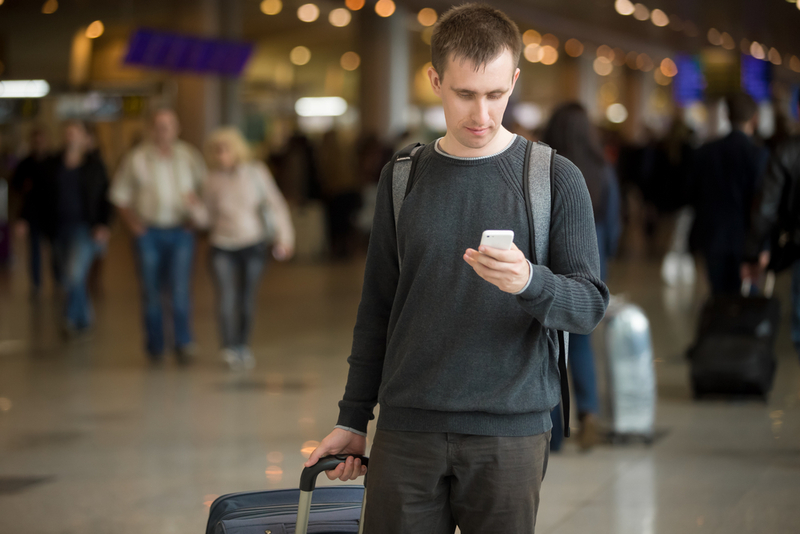 The WhatsApp can help keep your messages private using public Wi-Fi and save money when making overseas phone calls. In addition to providing computer and data security protection and solutions, RB’s Computer Service offers Ransomware strategies, we sell the best commercial grade firewall routers, best laptop computers, best desktop computers, business computers, computer parts and computer monitors. We provide services for computer repair, iPhone and smartphone repair and tablet repairs to customers and clients throughout central Minnesota and St. Cloud. For help with any of these or questions you may have, contact us today via phone or email: 763-441-3884 or at help@rbsmn.com. Warning: “Serious” Bug in Windows 7, Take Action Today!